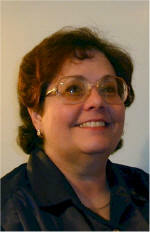 Click on the pictures for a closer/larger view. 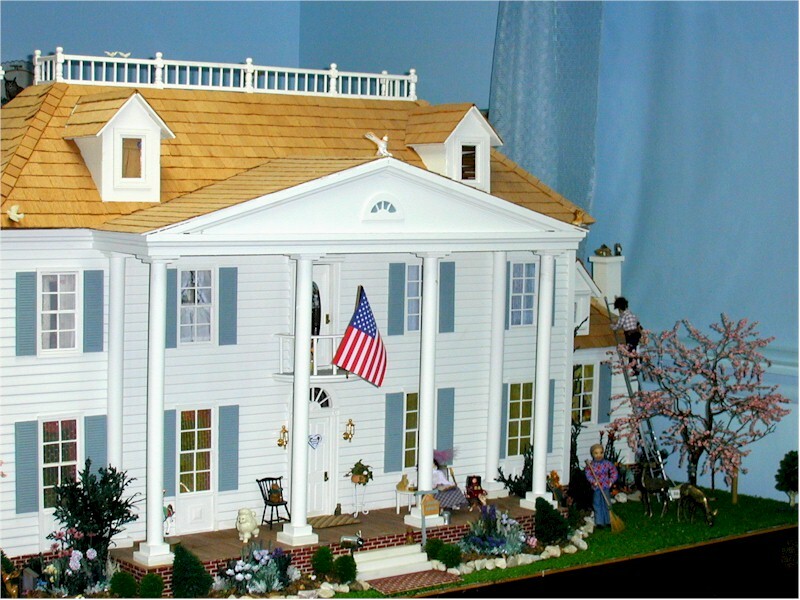 Southern Plantation, Limited Edition by Model Homes 1980-81. 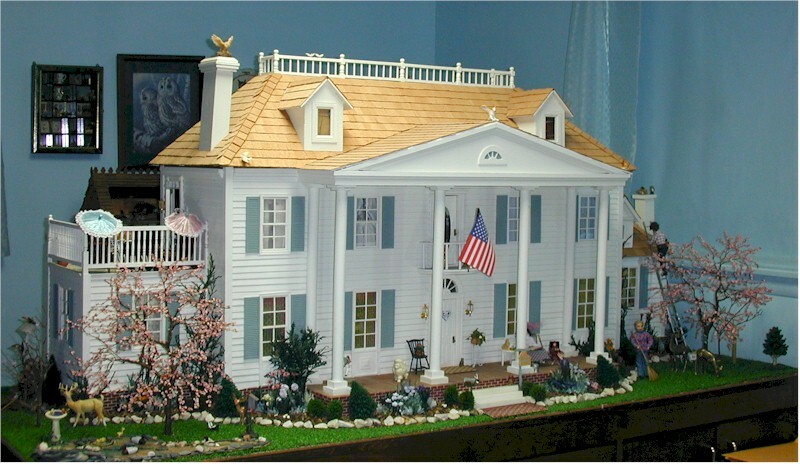 The dollhouse shell was built and customized by Richard Lea Shaw for his mother, Helen Shaw, who began decorating the house. When Helen passed away (6-1992), she left the house, now known as Dogwood Manor, to her daughter-in-law, Grace. Grace finished wiring the house for electricity and has been adding to the contents since she inherited it. The house sits on a custom made cabinet made for it by her husband, James E. Shaw. The cabinet looks the same on both sides with three drawers and two - two door storage sections. In effect, the cabinet is like having two separate cabinets built back to back. When Grace and Jim decided to move Dogwood Manor into their home, they had to remodel the bedroom it was to be placed into. 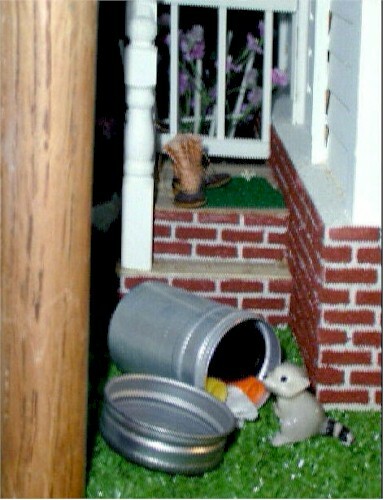 The dollhouse wouldn't go through the door. A closet had to be made smaller, and the door frame expanded. 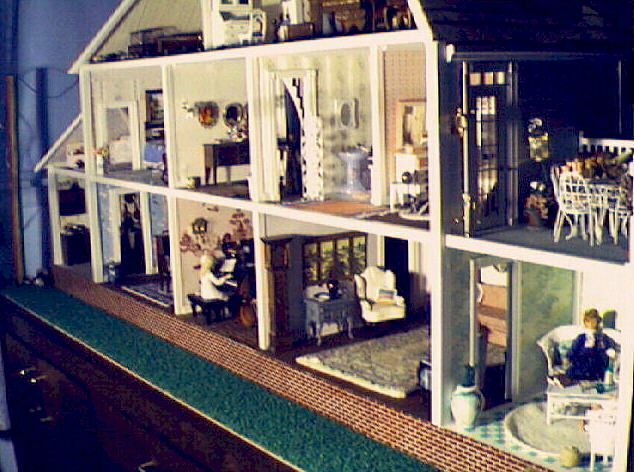 Grace had a new 12 panel glass door put on the bedroom so that the dollhouse could be seen from the hallway with the door closed. The Shaw's have 6 cats and have to keep the door closed to protect the dollhouse. Grace is in the process of building a two car garage with an in-law apartment above it. She designed and constructed a second story deck to allow access into the in-law apartment. 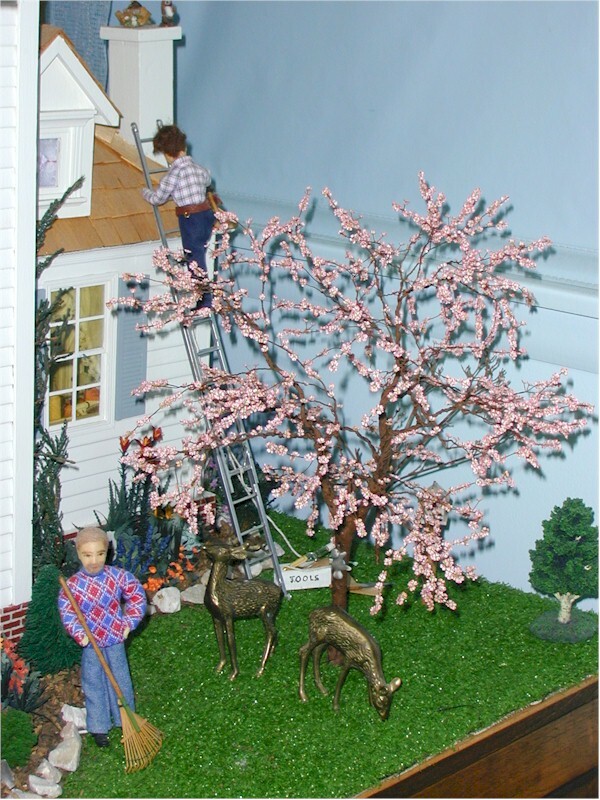 She has also purchased a greenhouse kit that she plans to build, and add to the plantation manor in the future. Pictures of the main house are below. (Click on the pictures for a larger view.) We hope you enjoy your visit and will come back soon. Also visit the In-Law /Garage (under construction) by clicking this link. The Dogwood trees for which the Manor is named. 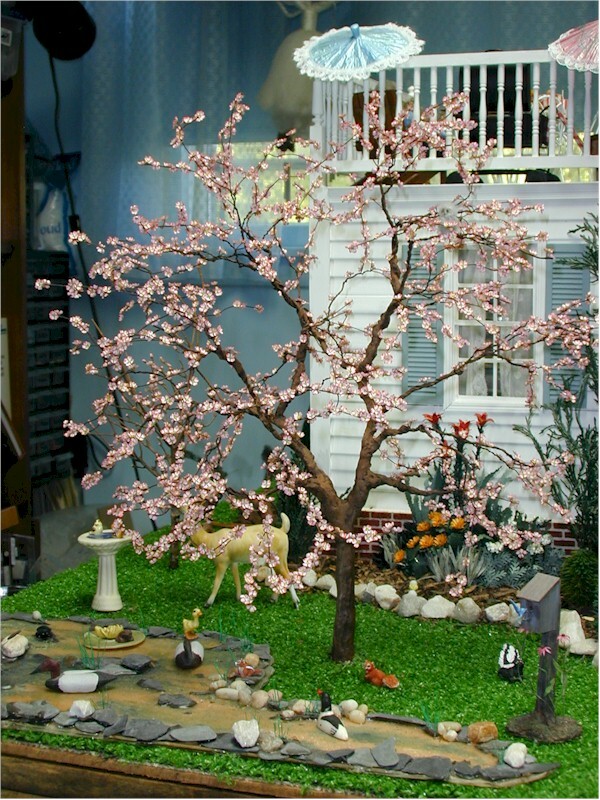 Forms for making your own dogwood tree can be purchased from Earthscapes by Heath...Naturally and dogwood petals can be purchased from Lavish Miniatures.